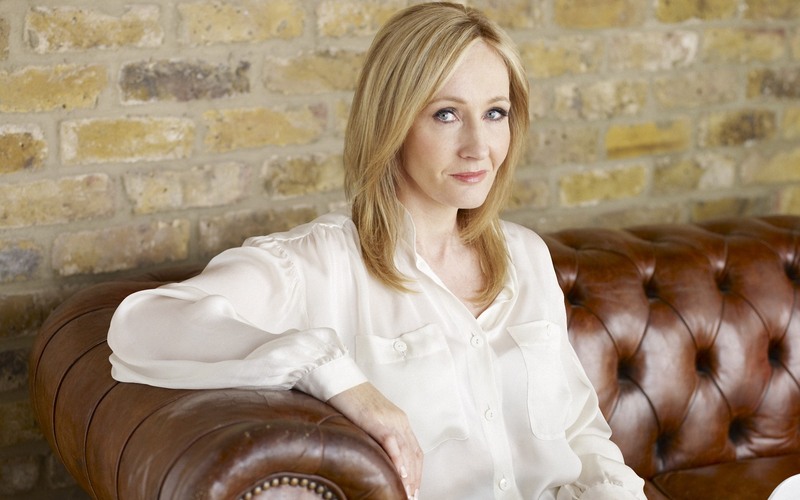 JKR Posts New HP Story to Pottermore – Read it Here! 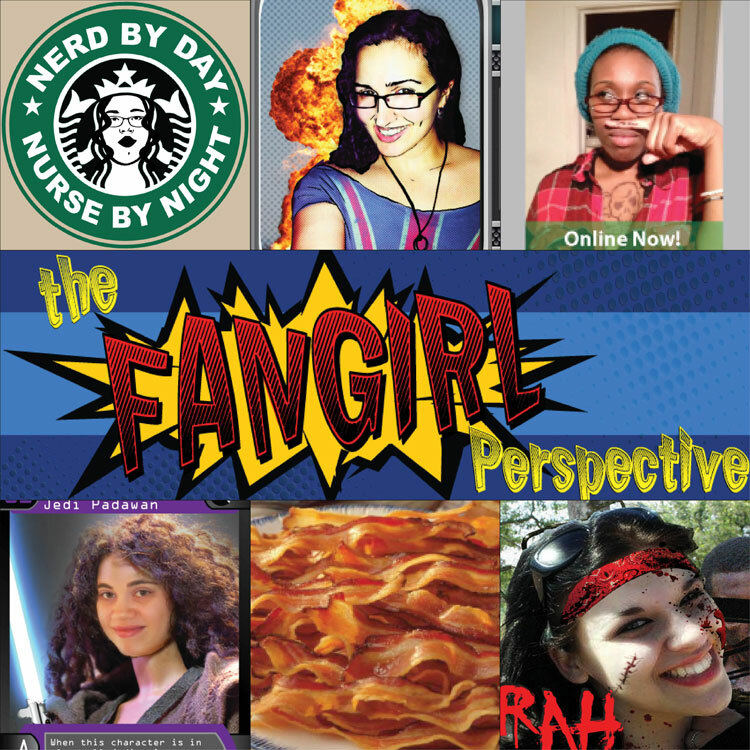 Happy Halloween, Fangirls and Fanboys! In celebration of our favourtite candy-based holiday, JK Rowling has authored and published a new short bit of writing, a sort of study on everyone’s least favourite professor, one Delores Jane Umbridge. If you have a Pottermore account, you can read it there, or you can scroll down. If any of you are like me you have been dying to take classes at Hogwarts. You have been waiting for that owl to drop off your letter. For someone from the school to come by and explain the wizarding world to you. Maybe your letter got lost there are other owls out there like Errol. 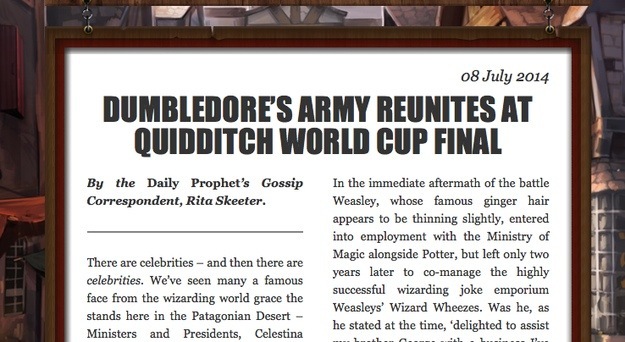 Maybe during the first wizarding war some of the documents got lost. Whatever reason any us have come up with as to why we have not gotten our letter. Well we finally have a chance to attend Hogwarts and prove that we are not Muggles. 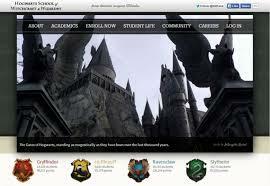 Some fans of Harry Potter have created a website where you ca take Hogwarts classes it is called Hogwarts is Here. They will send you a letter telling you that you have been accepted into the Hogwarts. You then choose what house you want to be in, I choose Ravenclaw because that is where Pottermore sorted me. After that you than buy your books from Florish and Botts. Don’t worry they give you the Gallons, Sickles, Knuts you need to buy everything. The site is completely free unless you pay for the upgraded account. Then once you have your books you can start enrolling in classes, each course is only 9 weeks long. I am currently only taking Defense Against the Dark Arts. I am sure you can take more than one course at a time, but I know I don’t have the time to devote anything more than that. They are very lenient to first years, if you do not get an assignment done on time it is alright. I am actually starting lessons about 3 weeks late. I will let you know how the course goes and how others courses go. I hope that some of you join me in Ravenclaw house, which is doing the best of all the houses, just saying. We all knew that they were creating a movie version of Fantastic Beasts and Where to Find Them. It has been officially announced that the movie will be a trilogy. I think all of us Harry Potter fans are excited to find out that 3 more Harry Potter related movies will be made. Let’s be fair there should always be a Harry Potter related movie or book. The movie is not a prequel but an extension of the Harry Potter universe. I know I am excited for these movies to come out, it will be great having more Harry Potter related movies. No word on when the movie the estimated release will be, but I am sure we will all be keeping an eye out for it.